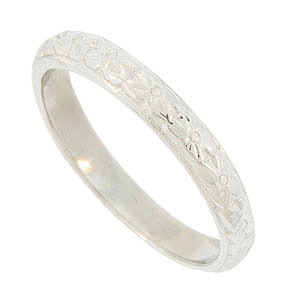 Detailed floral engraving adorns the surface of this antique style platinum wedding band. 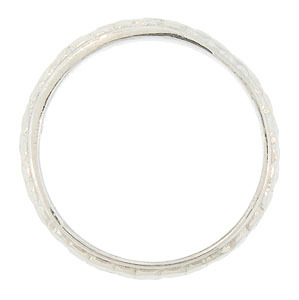 This lovely ring is crafted from the original antique ring and measures 2.82 mm in width. Size 6 3/4. We can re-size slightly. Also available in 18K or 14K yellow and white gold. Actual cost depends on current market value of the precious metal used.